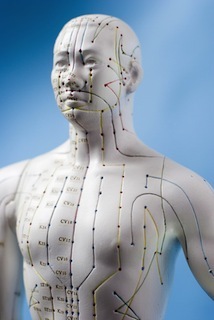 In order to effectively develop the flow of Qi through the meridian points of the body, it is necessary to perform a host of exercises which will aid in facilitating the result that you are seeking. While general exercise is good for fitness, in order to properly cultivate Qi Gong energy, it is necessary to take part in exercises which are designed specifically for the result of enhancing Qi. There are quite a few of these exercises to choose from. Once you consider the fact that Qi Gong training has been around for many thousands of years, it is not surprising that there is enormous variety to choose from. This is a good thing since different people of varying levels of physical condition will need different exercises in which to select from. Current fitness level, age, and even psychological motivations will play a major role in whether or not a person is drawn to one type of Qi Gong exercises vs. another. The simplicity of common Qi Gong exercises is not something that should ever be overlooked. There will commonly be an assumption that the exercises are very involved or esoteric in nature. This is really not the case at all. If it was, then very few people would be able to perform the exercises. Since we known thousands upon thousands of people perform these exercises each and every day, it is likely there are quite a number of basic exercises which the average person can take part in. The circling hand drill comes is a classic Qi Gong practice. This exercise starts with both hands by your side. You make a very small circle with the hand. As you complete the circle, you make the next circle larger. After a few repetitions, the forearm is needed to complete the circle. Then, the whole are is needed. Then, the shoulder has to be extended into the exercise because the circle has become so large. Once you have reached the furthest point you can go with the circle, then you start to make it small again until you are only moving your wrist. Another very simple exercise would entail raising and lowering the arms in a very fluid manner. Both hands start at the side and you slowly and very loosely raise your one hand over your head. The joints should flow and not be stiff. As the hand lowers to its original starting position, the other hand repeats the exercise on the other side. You can then continue this alternating arm exercise for as many repetitions as you feel are necessary. A consistent point with these exercises is they allow for the flow of Qi through the meridians. This is why these exercises stress flexibility and suppleness. Being rigid would undermine the ability to perform the exercises in the correct manner. 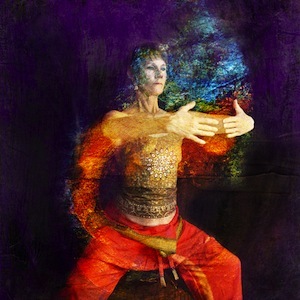 Now, you can also perform much longer exercises through engaging in lengthy Qi Gong forms. These forms can run upwards of five minutes to complete from start to finish. However, there is no rush to learn them. You can simply take your time as you see fit. In fact, you could even break the form into pieces and concentrate on subsets. This is all fine and a perfect way to making a longer, more complex form accessible. Just be sure that you day strict attention to your posture when engaging in Qi Gong exercises. Proper posture is a must if you want to get the full benefit of Qi flow. You will not make your exercises perfect overnight, but with constant practice, you eventually will achieve the desired result. Clearing your mind while performing these exercises is also a must. Unwanted mental distractions can have a very negative effect on the ability to get the most out of Qi Gong exercises. Often, these exercises can be the perfect was to de-stress oneself which is another reason they are recommended. Regular performance of the exercises is a must. You do not have to put a lot of time into them. Even just ten minutes a day of Qi Gong exercises can have a huge impact on your ability to benefit from them. Which Qi Gong exercises are the best? Honestly, they all have value. You just need to select from exercises that are the best for you.